TED talks have become synonymous with informed discussions about a wide range of topics. Along with talks led by professionals in particular fields, there are also talks given by individuals with personal experiences with a particular subject. 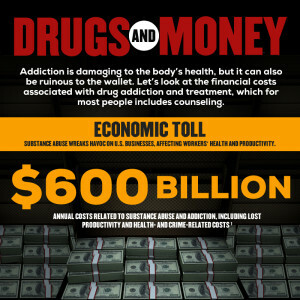 One topic that is frequently touched upon is addiction. While there is an agreement among speakers that we’re not dealing with drug use correctly and that stigmatizing addicts is almost always counterproductive, there is still a lot of argument about what to do. Here are some of the most interesting and thought-provoking TED talks about addiction. Due to the fact that some of Hari’s family members struggle with addiction, he became interested in what can be done to help addicts. He discovered that much of what is common knowledge about addiction is based on a faulty study from the 70s. During his talk, he points out that many individuals who are on narcotics for extended periods of time to treat medical conditions do not develop addictions, so something else may be at work. Hari also believes that for many people, addiction is related to not wanting to be connected with their lives or own reality. Carl Hart is a neuroscientist as well as a drug abuse specialist, and he discovered, via his own research, that the addictiveness of drugs and the behavior of addicts have been exaggerated. Tests involving addicts determined that about half of the time, study participants were willing to take five dollars instead of a hit of cocaine. He also discussed the fact that drug laws are not enforced uniformly; the majority of crack users are white, but 80 percent of individuals convicted under federal crack drug laws are black. Many people believe that addiction and obesity are due to a lack of self-control. However, Volkow states that these types of problems are often the result of an improperly functioning brain, not the inability to resist temptation. Using positron emission tomography, or PET, scans, scientists discovered that individuals who are addicted to drugs have fewer dopamine receptors, which are involved in feeling pleasure and satisfaction. With fewer dopamine receptors, people require greater amounts of drugs or food to attain the same level of satisfaction. Boldin is a recovering addict, and he talks about the importance of how people with addictions are treated. He has discovered that law enforcement and members of the medical community treat people who suffer from addictions differently, and he stated that there are communities that turn down offers for needed treatment centers to avoid having to admit that members of the community have a problem. During his discussion, he also relates how he is very open about his recovery as well as how supportive his family have been and how much their support has aided his recovery. Mitchell Delmar starts his talk by discussing his daughter’s struggle with addiction. He states that she was so ashamed of her dependence on oxycodone that she didn’t even tell her parents when she checked herself into a methadone clinic. Along with discussing how the stigma of addiction may prevent people who need help from getting it, Delmar also raises the point that pharmaceutical companies were not honest about the addictive properties of oxycontin. He suggests that eliminating the overproduction of prescription drugs may help to reduce access to them. Whether you’re considering going into a field that deals with addiction or have a personal interest in the topic, these talks may give you a new way of looking at the subject. For more information about TED and to view videos from conferences, visit their conference information page.